The Umbra Petal Photo Holder in white and nickel is just the fun photo or note holder for you. The white flower pot base is 2.75" in diameter and 2.75" high. 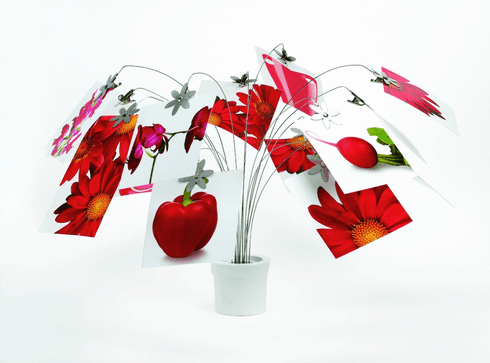 The 15 steel plated wires come out of the base and have flower shaped clips at the end of each one to hold your pictures. Perfect for tweens, teens and adults alike. Umbra is the worldwide leader in casual, contemporary and affordable design for the home.